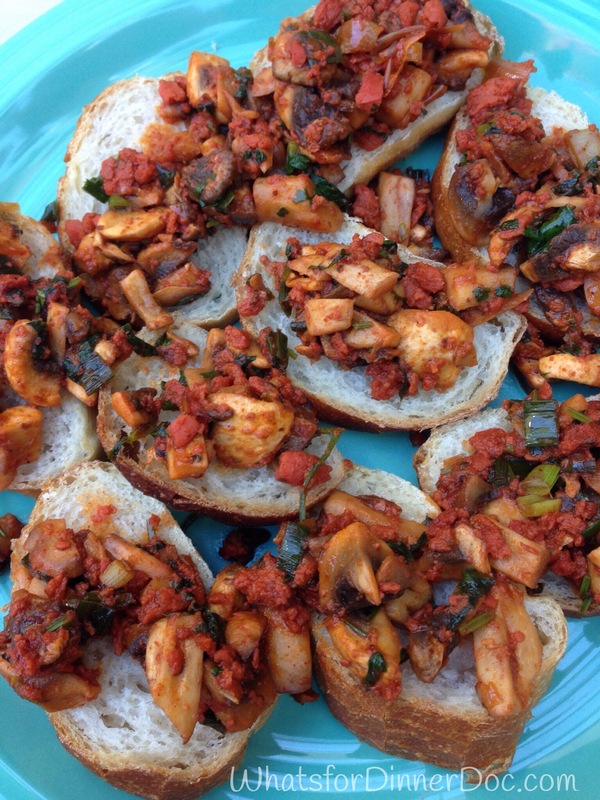 Chorizo and Mushroom Tapas, La Gringa Steals a Recipe – What's for dinner, Doc? We have a new upscale Mediterranean restaurant in my village, Gastroteca Azul. The chef, Mario Lopez is using local ingredients, inventive preparations and engaging flavors to create a gourmet experience in Loreto Bay, Mexico. I have to say that the best meals I’ve eaten have come from either La Gringa’s kitchen or Azul. I’m picky. Don’t bury my food in melted cheese, rich cream sauce or overwhelming salsa. Give me fresh fruits and vegetables, lean meats and/or seafood and don’t skimp on the flavor. I have openly stolen and re-created Chef Mario’s Chorizo y Champiñones appetizer. Never fear, I always tell him when I’m stealing his ideas. The Chef uses portobello mushrooms and a dash of sherry. I added scallions and cilantro for a fresh green flavor. Adjust the herbs to your taste. 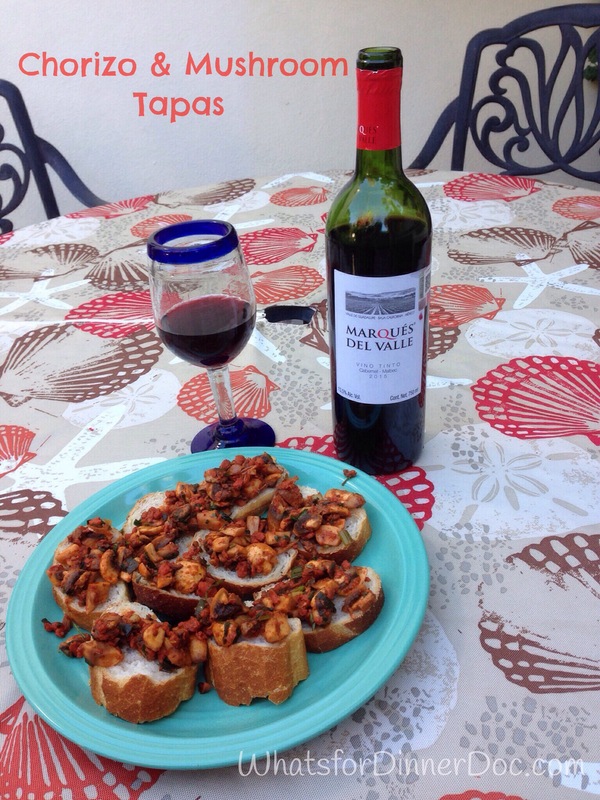 You can make this simple filling tapas recipe from readily available spicy meat. For example: Spanish or Mexican chorizo, any flavor of spicy sausage or soy chorizo for vegetarians. I think the mushrooms are critical for texture and taste. I have used this topping as a taco filling, with tortilla chips and on sliced baguette. I’m sharing my tapas at Fiesta Friday. 4 ounces chorizo, either ground texture or firm Spanish style chopped. Brown chorizo and drain any oil. 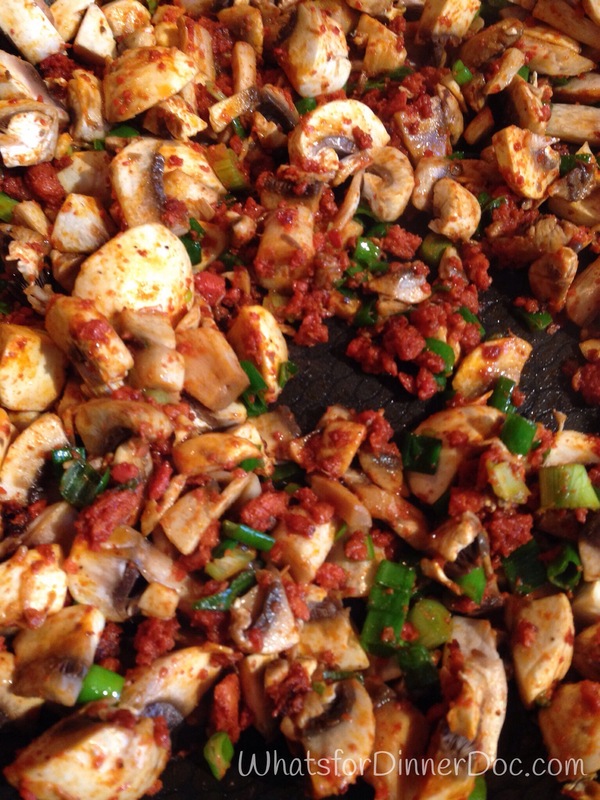 Add rough chopped mushrooms and simmer on medium heat until the mushrooms are soft and have released their water. Stir in scallions and cilantro just before serving. 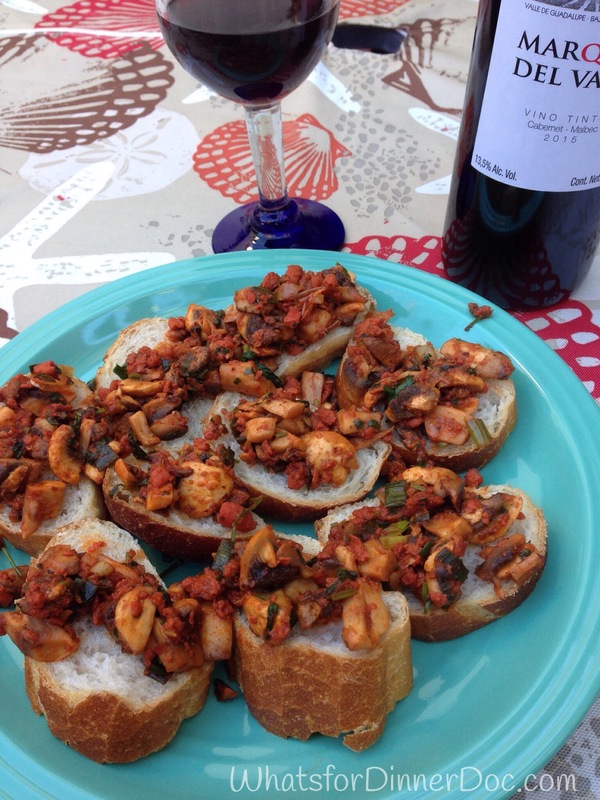 Serve on bread slices with a Mexican vino tinto (red wine) or a Spanish red wine. Yuuum! That must taste so good!